If you are looking into canceling a timeshare contract in Tennessee, hopefully it is a case where you recently bought a timeshare and are now having second thoughts. The Tennessee State Legislature has implemented laws to help protect people from unscrupulous timeshare salespeople. These Tennessee timeshare laws create a framework by which timeshare developers and brokers must structure their timeshare deals. However, in order to cancel a timeshare in Tennessee, you must act quickly after having signed your timeshare contract. The timeshare property developer must disclose specific information to prospective timeshare buyers before or at the time of purchasing the timeshare and could not have previously offered false or deceptive advertising campaigns to entice people to buy a timeshare. People still need to be cautious when purchasing a timeshare, and should understand that if you do not make your timeshare mortgage or assessments repayments, you may lose your timeshare via repossession. If you are considering getting a timeshare in Tennessee, you ought to make a point to become familiar with the different protections in place in to give you options to get out of a timeshare contract if you change your mind. However, there is a strict timeframe within which you must act or else your contract will be iron-clad. Similarly, the timeshare developers must follow the Tennessee State legislature carefully, or else the timeshare sales contract will not be considered valid. A public offering statement includes basic information about the timeshare property at the heart of the timeshare agreement. When selling a timeshare in the state of Tennessee, the timeshare developer has to give the purchaser a duplicate of the official public offering statement prior to the signing of the sales contract of the timeshare (Tenn. Code Ann. Â§ 66-32-114 (a)). Everyone providing the public offering statement should disclose essential details regarding the timeshare, such as the timeshare plan designer/developer name and principal business address, a generalized description of the timeshare property subject of the contract, any type of financing or mortgage offered by the timeshare development company, and information about exactly how to cancel a Tennessee timeshare contract (Tenn. Code Ann. Â§ 66-32-112). In Tennessee, a timeshare contract is voidable up till the new timeshare owner has received the public offering statement. The deal could additionally be canceled within ten days from the date you authorized the contract if you made an on-site examination of the timeshare prior to authorizing the contract, or 15 days after you sign the contract if you did not make an on-site evaluation of the timeshare property prior to completing the purchase. (Tenn. Code Ann. Â§ 66-32-114( a)). The right to cancel a timeshare contract in Tennessee cannot be waived via any clause in the timeshare contract (Tenn. Code Ann. § 66-32-114(c)). In order to cancel a Tennessee timeshare contract, the timeshare buyer has two choices to ensure delivery of the notice to cancel. He or she may hand-deliver official notice of timeshare contract cancellation to the timeshare developer in writing, or have the written notice delivered by prepaid U.S. postal mail. If you choose to send your written notice of timeshare cancellation by mail, the envelope has to carry a postmark date within the timeshare cancellation period in Tennessee, detailed above. Following a successful Tennessee timeshare cancellation, the timeshare seller is obligated to refund all monies that the buyer paid at the time of the sale. This refund must be in your possession within 30 days of the date the timeshare seller received your notice of cancellation. The timeshare salesperson and/or developer cannot legally charge any penalty regarding this refund (Tenn. Code Ann. Â§ 66-32-114(a)). When you buy a timeshare in Tennessee, the timeshare property developer is required to use an escrow account to hold all money that has changed hands as the result of the timeshare sale. (Tenn. Code Ann. Â§ 66-32-113). To the timeshare buyer should he or she cancel the timeshare agreement. To the timeshare developer, should the timeshare buyer fail to fulfill any obligations the terms of the timeshare purchase agreement. 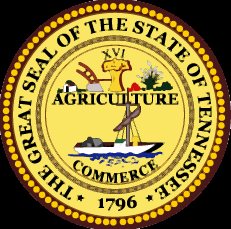 To the timeshare developer, after the Tennessee timeshare cancellation window finally expires without notice of cancellation being submitted (Tenn. Code Ann. Â§ 66-32-113). The objective of the escrow account requirement is to ensure the timeshare buyer’s right to a refund in the case that a notice of cancellation is submitted according to the timeframe and stipulations according to Tennessee timeshare laws. The Timeshare Laws of Tennessee restricts timeshare sellers and developers from using deceiving or purposely erroneous statements in timeshare advertisements and marketing timeshare offers. Timeshare sellers in Tennessee are not allowed to use an advertising campaign that includes a statement relating to the revenue capacity of the timeshare (unless the statement is not untrue), make a verbal assumption or imply that the timeshare will certainly gain value, or misstate the attributes of the timeshare, among other points (Tenn. Â§ 66-32-132). In some cases, timeshare sellers offer gifts or rewards to possible customers to coax them into attending a sales discussion. Timeshare sales staff members are forbidden from leading you to think that you have been “chosen” or are part of a select few individuals receiving a timeshare deal, if this isn’t the truth (Tenn. Â§ 66-32-133). Timeshare owners could discover that it is remarkably challenging to re-sell their timeshares since there is essentially no market for them. To fill the void, timeshare resale scam companies have turned up which will wrongly tell a timeshare owner that there is a buyer ready and waiting to buy the particular timeshare. This is followed by the instructions that the owner of the timeshare has to pay a large fee upfront in order to process the transaction. Once the timeshare owner pays the stated fees, the scammer frequently can no longer be contacted or the buyer in the wings takes flight. Tennessee timeshare laws supply some defenses to protect the public from this kind of resale fraud. A timeshare resale contract has to be documented in writing and the reseller is restricted from requiring a fee in advance (Tenn. Code Ann. Â§ 66-32-137). Usually, timeshare buyers take out financing to complete the acquisition of a timeshare. If you don’t pay your timeshare loan payments, you could have your timeshare taken from you in accordance with Tennessee foreclosure laws. Along with month-to-month home mortgage repayments, timeshare owners are usually obligated to pay monthly or yearly maintenance charges, assessments, taxes and utilities. If you fall short on keeping up with these assessments, et al, you most likely be subject to foreclosure. Too Late to Cancel a Timeshare in Tennessee? If canceling a timeshare contract in Tennessee is no longer an option for you according to the Timeshare Laws of Tennessee, call us now for a Free Consultation. Redemption and Release, LLC can make your Tennessee timeshare cancellation exit strategy simple and cost-effective. Contact us today at 1-888-743-9051 or use our Online Contact Form to request free, no-obligation information about canceling a timeshare contract in Tennessee.